But that gives two Table X: Caption captions. I didn't find anything in subfig. Use a floatrow environment of the package of the same name. You can use the »caption« package. See code below for an example derived from the package manual. You will find more details in the manual. This is not exactly what you want, but it would float. Another solution that would give the desired output. But this won't float. Not the answer you're looking for? Browse other questions tagged floats positioning captions or ask your own question. 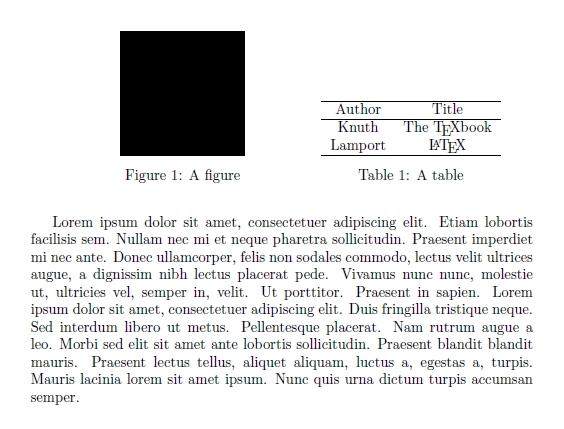 How to put two tables in a table* element so that the tables appear side by side in a two column layout scientific paper?